The world is constantly evolving. The modern-day business environment has vastly changed and continues to develop at a faster rate every day. With these advancements comes the need for progressive leadership, strong management and innovative thinking from the top. John C Maxwell is quoted as saying: "A leader is one who knows the way, goes the way, and shows the way." In this fast-paced, technologically advanced atmosphere, leaders must drive their organisations forward with critical business insights and decisions based on powerful data. 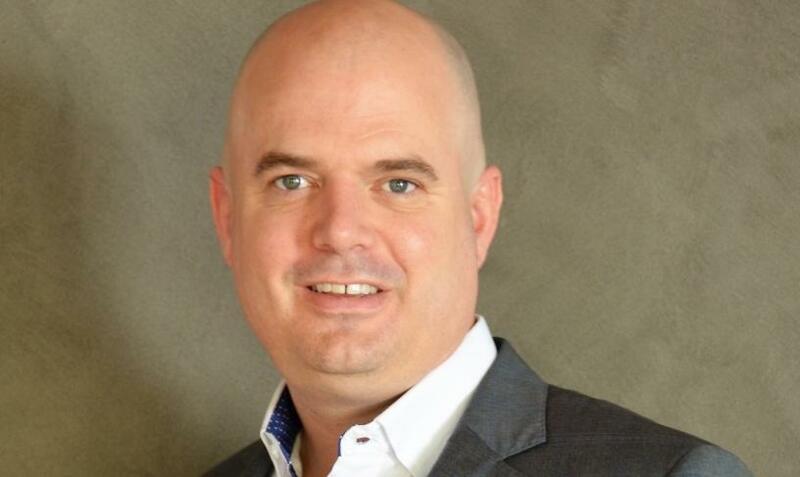 South Africa Qlik Master Reseller (SAQMR), a subsidiary of the EOH Group, recently announced the appointment of its new Managing Director, James Hickman. Coming from a very successful career at Microsoft, Hickman joined the team on 1 April 2018, attracted by a mutual passion and ethos. "Having started discussions with the EOH Group earlier this year, I was drawn to the philosophy and culture at SA Qlik, and immediately recognised the alignment with my personal goals and aspirations," states Hickman. With the understanding that analytics and big data offer a wealth of opportunities, Hickman will rely on his many years of local and international IT experience to lead the SA Qlik team. He is excited to begin this journey and develop strategies to drive even greater growth. "Having achieved what I set out to in my previous employ, I look forward to working with the SA Qlik team to design a strategy centred on our customers and partners' success in this ever-changing business landscape. Building and executing this plan with the support of an industry-leading brand like Qlik is an irresistible challenge," advises Hickman. "Today, companies can make decisions based on data, business intelligence, algorithms, analytics, and predictive models; all of which are available through technology. However, the human aspect is more critical than the technology alone. Having a team with the experience and capabilities of the people at SA Qlik is a huge advantage for us, our partners and our customers," adds Hickman. "Even when using the most advanced technology to make decisions (AI, machine learning, etc), if the data that feeds these systems is not accurate, all we end up doing is making terrible decisions with more certainty than ever before. The human aspect is the difference and at SA Qlik, we have the best in the field. This is a fascinating arena, and constant innovation and learning ensures there is never a dull moment." According to SA Qlik's Executive Director, Jane Thomson, this appointment will further position SA Qlik to achieve its objectives. "The business is poised for massive growth, and that is a wonderful place to be, especially in the ICT industry. James is the right candidate to build a business centred around two key elements: the customer (and not the business units' individual goals); and creating an environment where people love their work." Hickman is unwilling to commit to one singular leadership style, opting rather to base his approach on three principles: clarity, energy and trust. "These form the foundation of what leadership should bring to an organisation, so everyone has clarity on their roles (and that of their peers) in the greater picture, fully understanding what's expected of them. This supports the team to work as one, focused on clear goals while continually building trust and, ultimately, delivering results for SA Qlik's customers, partners and employees," confirms Hickman. When asked what his vision is for SAQMR, Hickman concluded: "Prior to joining the SA Qlik team I was inspired by how much customers loved the Qlik technology and the impact it had on their business decisions and overall performance. As we accelerate into a data-driven world, I would like to see SA Qlik become the decision company delivering the best and most critical insights to our customers, empowering them not only to compete in the world of digital transformation, but to become leaders in it." Qlik delivers intuitive platform solutions for self-service data visualisation, guided analytics applications, embedded analytics and reporting to approximately 40 000 customers worldwide. Companies of all sizes, across all industries and geographies, use Qlik solutions to visualise and explore information, generate insight and make better decisions. Qlik optimises business intelligence (BI) by harnessing the collective intelligence of people across an organisation. It focuses on empowering people, by enabling everyone in an organisation to see the whole story that lives within their data.